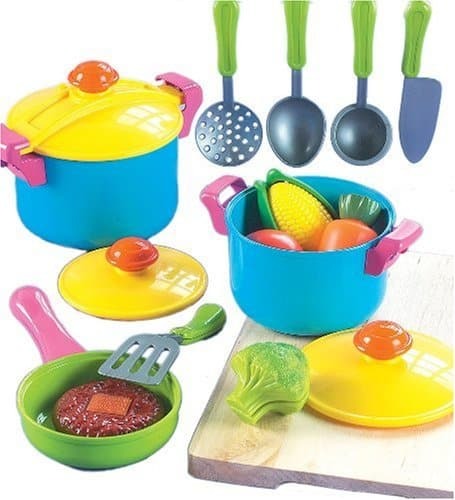 The Small World Living Toys Young Chef Cookware Set is on sale for $15.00 at Amazon right now. That's 37% off the list price of $23.99! The Small World Living Toys Country Club Sandwich is on sale for $16.30 at Amazon right now. That's 32% off the list price of $23.99! The Small World Living Toys My-Oh-My Pizza Pie is on sale for $16.53 at Amazon right now. That's 31% off the list price of $23.99! The Small World Living Super Cool Ice Cream is on sale for $8.95 at Amazon right now. That's 25% off the list price of $11.99! The Small World Living Toys Build-A-Burger is on sale for $6.79 at Amazon right now. That's 32% off the list price of $9.99! The Small World Living Fun-With-Fruit is on sale for $16.25 at Amazon right now. That's 40% off the list price of $26.99!